As data centers virtualize a greater number of resources and scale for more workloads, two tasks become critical to ensure application performance: performance monitoring and capacity planning. Whether these servers are physical or virtual, performance monitoring is crucial to ensure that hardware can handle the workload, and capacity planning tools and techniques enable you to plan for peak loads and adjust for predicted changes in demand. In this series on monitoring and capacity planning, we explore the tools and best practices available to optimize a data center/private cloud environment and forestall performance issues. As an increasing number of workloads get virtualized and moved to cloud environments, application performance becomes a perennial concern. As a result, performance monitoring, virtual workload optimization and capacity planning move front and center as critical data center tasks. 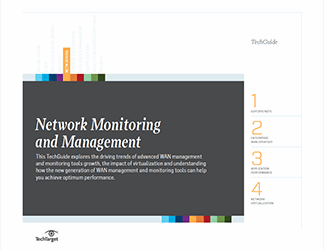 In this chapter on performance monitoring, we explore how IT managers can evaluate their workloads for spikes and dips in performance, plan for future performance needs, and make adjustments that have little to no impact on users. 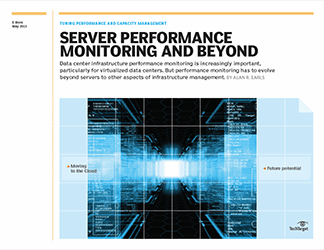 This chapter evaluates server performance monitoring tools for IT pros who are considering investing in new products to help record, analyze and ultimately improve performance in their data center and/or private cloud. To ensure that investments in server hardware, a virtualization strategy or a private cloud pay off, it’s important to track systems’ performance over time—but with today’s mix of physical and virtual environments and the added complications posed by multiple hypervisors, picking the right monitoring tools for your environment can be complex. 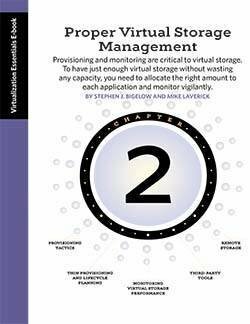 This chapter explains the benefits of server performance monitoring tools and explores their common features. 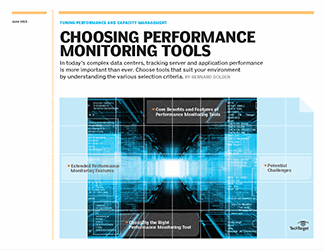 We also cover special features and best practices for choosing and implementing performance monitoring tools, emphasizing the importance of testing and helping readers choose tools with analytical features that will allow them to apply the reported data to improve server performance and capacity planning. As data centers continue to virtualize resources and move to the cloud, server capacity planning poses new challenges and opportunities. While trends like virtualization and the cloud have enabled profound scalability, they also require IT professionals to better plan for peaks and spikes in virtual server capacity. This article on server capacity planning examines the principal issues for modern-day server capacity management. It outlines the key steps in a capacity-planning strategy and discusses some of the business-specific and technology-related factors that IT pros should consider as they outline their strategy. Finally, it explores the capabilities of capacity-planning tools that may help IT professionals as they embark on the task of forecasting server needs for six months, two years, even five years down the road.